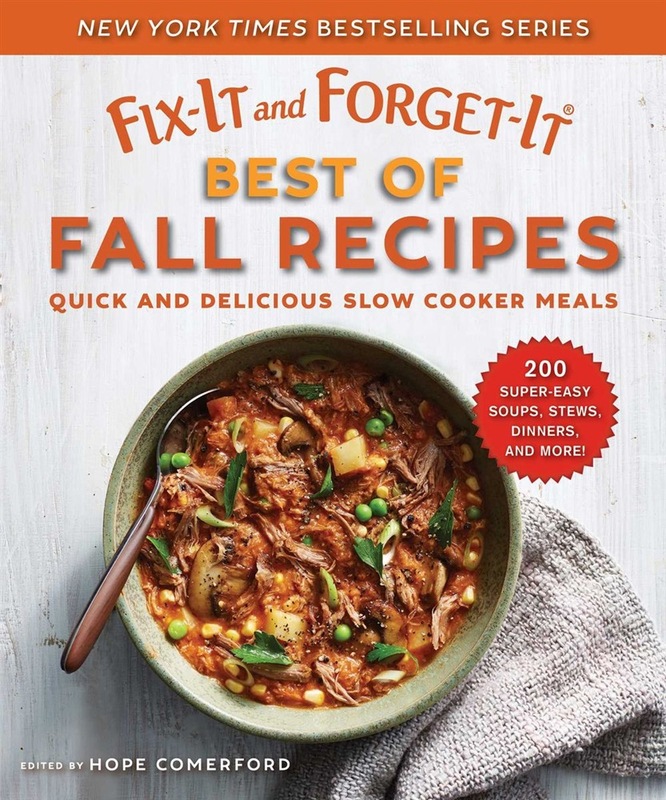 A collection of more than 150 of the very best harvest recipes from the New York Times bestselling Fix-It and Forget-It series—all in one place. Fall is here, and so is a busy season of Thanksgiving parties and cooking for big groups. But don’t let stress get in the way—simply take out your slow cooker and prepare holiday meals for the entire family with ease and joy. Here, we have collected the very best slow cooker recipes and fan favorites that capture the spirit of fall. Wow your guests and loved ones with healthy and delicious seasonal offerings that cover appetizers, soups and stews, meaty and vegetarian mains, breakfast, beverages, and desserts. Selected from some of the best home cooks across the country, these more than 150 super-easy family-friendly meals will be the life of the party: Butternut Squash and Apple Soup Fast and Fabulous Brussels Sprouts Honey-Maple Sweet Potatoes Applesauce Meatloaf Tortellini with Broccoli Overnight Scalloped Chicken Casserole Autumn Harvest Pork Loin Meatless Shepherd’s Pie Pumpkin-Pecan Pie Hot Mulled Cider Accompanied with gorgeous, festive photographs, as well as tips on how to use your slow cooker, Fix-It and Forget-It Best of Fall Recipes is your one-stop solution for the country’s best-loved meals during everyone's favorite time of the year. Happy fall and happy cooking! Acquista Fix-It and Forget-It Best of Fall Recipes in Epub: dopo aver letto l’ebook Fix-It and Forget-It Best of Fall Recipes di Hope Comerford ti invitiamo a lasciarci una Recensione qui sotto: sarà utile agli utenti che non abbiano ancora letto questo libro e che vogliano avere delle opinioni altrui. L’opinione su di un libro è molto soggettiva e per questo leggere eventuali recensioni negative non ci dovrà frenare dall’acquisto, anzi dovrà spingerci ad acquistare il libro in fretta per poter dire la nostra ed eventualmente smentire quanto commentato da altri, contribuendo ad arricchire più possibile i commenti e dare sempre più spunti di confronto al pubblico online.